By Startup Lithuania and Blockchain Centre Vilnius; Photos by Darius Kučys. Over the last ten years, Lithuanian startup businesses have raised over 150 million euros. Compare that to the 500 million raised through Initial Coin Offerings (ICOs) in Lithuania in the last 18 months and you start to understand that Lithuania is definitely doing something right. In fact, the amount raised in 2017 through ICOs here in Lithuania is the third largest amount on the planet behind the United States and China. It’s a country with a population less than a third of the size of New York. Blockchain projects based in Lithuania raising capital through token sales or ICOs have been the driver behind this boom, but years of research, development, and investment in the Financial Technologies sector prior to this provided the foundation for such a quick take up and acceptance of the technology. Lithuanians as a nation of young fintech interpreters are using token sales as a way to raise startup capital to provide innovative services and products worldwide. How does blockchain help to raise all this capital? Companies building their product or service on blockchain can offer tokens or coins to investors that can later be used inside the ecosystem through different means: discounts, access tokens, gift vouchers, product and service payments. An initial coin offering (ICO) is a means of crowdfunding centered around cryptocurrency, which can be a source of capital for startup companies. In an ICO, a quantity of the crowdfunded cryptocurrency is sold to investors in the form of “tokens”, in exchange for legal tender or other cryptocurrencies such as Bitcoin or Ethereum. These tokens are then intended to become functional units of currency if or when the ICO’s funding goal is met and the project launches. It has become increasingly important to build credibility before launching any attempt at fundraising, and this process has been made easier as Lithuania has focussed on legal and regulatory framework knowledge and implementation. Key figures such as the Lithuanian Minister of Finance Vilius Sapoka have played a huge role in the speedy adaptation of the technology. Ensuring these aspects are clearly defined and communicated has meant companies are compliant and working with the right regulations and this, in turn, has given investors confidence. Official statistics show 35 Initial Coin Offerings ranging from $3million to $151 million were born in Lithuania in 2017, raising a total of $500 million in value. The Baltic states in particular Lithuania and Estonia seem to be grasping these technologies quicker than most of their neighbours and are showing a lot of positivity within this emerging economy. The regulatory conditions, ease of doing business and speed at which a license can be obtained have all been major reasons for this boom period and merchants and services are starting to pop up all over the country. There have also been some huge success stories from homegrown startups such as Lympo.io who recently announced the world’s number 2 ranked tennis player Caroline Wozniacki as a brand ambassador after successfully raising 14625 Ether which was valued on 8 May 2018 at almost $11 million. 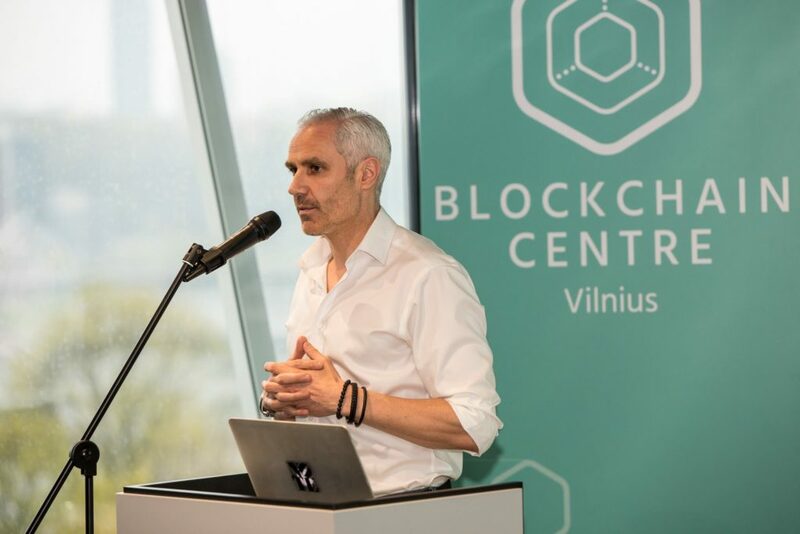 The opening of a dedicated Blockchain Centre in Vilnius has been a big accelerator in the adoption of the technology and has given those wishing to pursue startups and blockchain projects access to global investors and mentors, a place to meet, work and network. The centre has become a focal point for starting meaningful conversations between stakeholders and has been very proactive in bringing together business leaders and politicians in order to speed up decision making and attract more foreign investment to the country. Meeting is just the beginning. We must nurture these relationships and explore all possible angles. It’s easy to talk – not so easy to act. We are providing the platform for these conversations and understand Lithuania is a small market and that any active entrepreneur wanting to succeed here needs to work globally. Whereas some countries and regulators have viewed cryptocurrencies and the underlying blockchain technology with open arms, others have condemned it and labeled it as disruptive and unregulated. Lithuania is certainly a country that has welcomed it with open arms and sees it as a way to boost the growing economy even more. A conviction to lead and drive forward the technology has brought an abundance of attention to Lithuania and only time will really tell if that energy has been wisely invested.